For children, drawing is a way of seeing things, thinking about their world or sharing how they feel. It helps them form memories by engaging both sides of the brain. It is a fun way for young children to practice using a pencil that will help them with handwriting as they get older. It can teach them to break large projects into small, manageable pieces. For visual thinkers, drawing is like handwriting is for auditory learners. It is extremely important for them to feel comfortable with a way to express themselves. 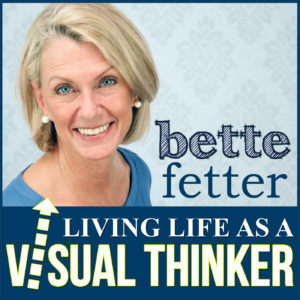 Listen in to Episode 16 of Living Life as a Visual Thinker to understand the importance of drawing and art in general for our children.